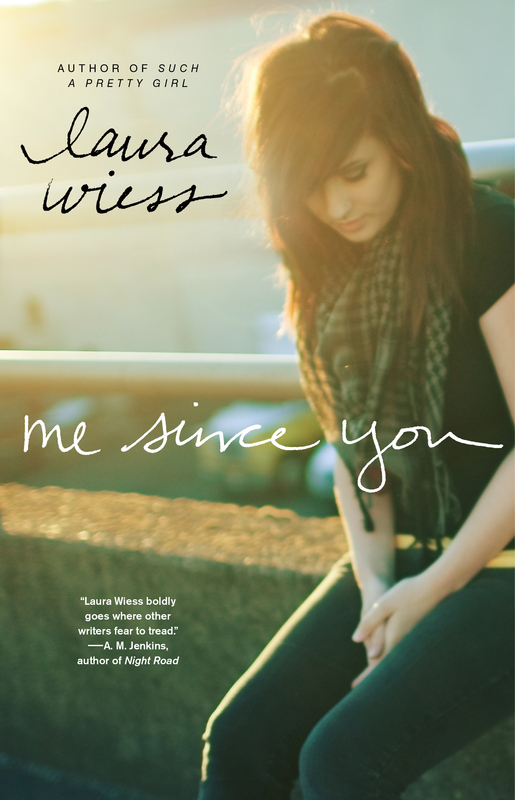 “Laura Wiess’s masterful prose kept me turning the pages. This is the first book in a very long time that made me say, ‘Wish I’d written this’” (Ellen Hopkins, author of Crank, on Such a Pretty Girl). If she had known, on that Friday in March when she cut school, that a random stranger’s shocking crime would have traumatic consequences, she never would have left campus. If the crime video never went viral, maybe she could have saved her mother, grandmother—and herself—from the endless replay of heartache and grief. This reading group guide for Me Since You includes an introduction, discussion questions, and ideas for enhancing your book club. The suggested questions are intended to help your reading group find new and interesting angles and topics for your discussion. We hope that these ideas will enrich your conversation and increase your enjoyment of the book. Rowan Areno is a normal sixteen-year-old trying to walk the difficult line between rebellion and responsibility, finding her own path and trying to do right by her loving and slightly strict parents. But when her father, Nick, a decorated police officer, tries and fails to stop a tortured young man from leaping from an overpass to his death, everything in Rowan’s life begins to fall apart. As the media seizes on Nick’s failure to stop the suicide, he slides deeper and deeper into an irreversible depression, until finally, the unthinkable happens, and he commits suicide as well. Rowan can’t understand how her father could choose to leave her, and acts out, pushing away friends and taking risks with her safety. Rowan’s mother, wracked with her own guilt and sorrow over failing to save her husband, stops going to work and collects stray cats for comfort. Grief, fractured and unpredictable, rules their lives now. But when Eli Gage, a witness to the original suicide, comes to Officer Areno’s funeral, his own father killed in action in Iraq, he and Rowan find a connection to each other they hadn’t had before. Together they must find a way to survive a tragedy with no comforting, set answers. 1. Me Since You opens with a quotation from Søren Kierkegaard, the first of its many epigraphs. What do you think this quotation means in the context of the novel? What special meaning do you think it has for Rowan? Do you agree or disagree with the sentiment the quotation expresses? 2. Although everyone close to the event of Corey’s suicide believes that the video of his death should never have been aired, the media broadcasts it anyway. Why do you think the media decided to air the video? Why do the Arenos, as well as Eli, disagree with the decision to broadcast the video? Do you think people have a right to see such things, or should they be kept private? 3. Once the video is aired, many people criticize the decisions Nick and Eli made in trying to save Corey, or think they would have done better themselves. Do you think Nick and Eli acted appropriately? What would you have done in their place? Why do you think so many people were convinced they could have done a better job, or saved Corey and/or his son? 4. In addition to dealing with people’s comments in person, Rowan also struggles with the online commentary about Corey’s suicide. What is the difference between two? Why do you think people are so comfortable saying things online that they wouldn’t say in real life? 5. Before the suicide, Rowan’s closest friend is Nadia. But after, Rowan and Nadia drift apart. Why do you think Nadia behaves the way she does as Rowan deals with the aftermath of Corey’s suicide, and her father’s? Do you think she acted appropriately toward Rowan? What would you have done in Nadia’s place? Do you think Nadia is a true friend? 6. On page 82, Rowan’s boss, Eva, reflects, “We grow up believing that bad things don’t happen to good people...but sometimes they do. It’s a hard truth to accept, that life is not fair.” Do you think this is true? Why or why not? Why would it be hard to accept? What are some examples from your own life that either prove or disprove this sentiment? 7. As Rowan’s father sinks deeper into his depression, Rowan struggles with the frustration and pain of watching him struggle, finally admitting that, “I cannot bear the sight of my father breaking” (p. 103). Why do you think this is so difficult for Rowan? Why is it so difficult for children to see their parents’ vulnerability? Do you think that there was anything Rowan could have, or should have done for her father? 8. Throughout the book, Rowan reflects on the meaning of depression as a “burden,” both on the sufferer, and the people around them. Why do you think depression feels like a “burden” to be carried, and why does it affect everyone around it so deeply? What is the difference between suffering from depression, and suffering through a loved one’s? 9. After the suicide of Rowan’s father, both Nadia and Eli reach out to Rowan, in an attempt to comfort her. What is the difference between their two approaches? What do you think this says about the difference in their friendships, and experiences? Which do you think is better for Rowan? Why? 10. When Eli attends Nick’s funeral, Rowan says that his presence “makes this all too real” (p. 166). What do you think this means? Why is Eli the one who brings the full impact of what has happened home for Rowan? 11. As Rowan struggles with her grief over her father’s death, she repeatedly reflects on the difficulty of coming to terms with the “reason” her father killed himself. On page 189 she says, “They want a reason, an event, something they can pinpoint and steer clear of.” Why do you think people have a need for this kind of “reason”? Do you think Rowan is correct that there isn’t always a specific reason to point to? 12. Why do you think it’s so important for Rowan and her mother to find the notes that Nick left them? When they do finally find the notes, do you think the one left for Rowan satisfies her? Why or why not? 13. On page 274, Eli tells Rowan that his father’s secret for dealing with anything really difficult is to “Just keep breathing.” What do you think this means? Do you think it’s good advice? Why do you think it works, or doesn’t work? Can you think of other ways to cope with difficult things that are similar? 14. As Rowan falls for Eli, she wonders, “I will never understand how life can rip your heart out with one hand and then give you a small, warm piece of it back with the other?” (p. 280) Do you think life is like this, in your experience? Can you think of an example from your own life that proves or disproves this idea? 15. As Rowan and her mother finally begin to get rid of some of Nick’s stuff, Rowan says in her grief journal, “Without your stuff, you will really be gone.” Why do you think this is? Do you agree with this? Why is it so difficult to finally get rid of Nick’s possessions? 16. Throughout Me Since You, Rowan reflects on the coincidences that led to her father’s death (for example, p. 220), and the “ripple effect” that Corey’s suicide had. What do you think is truly meant by the “ripple effect”? Do you think that the coincidences in the novel are truly coincidences, or something more? Do you see the “ripple effect” in your own life? 1. Throughout Me Since You, Laura Wiess uses epigraphs to enhance the meaning of certain chapters or passages, as well as the book as a whole. When Rowan’s family is writing Nick’s eulogy, her mother also uses an epigraph from Bartlett’s Quotations to find a way to begin their tribute to Nick. Imagine you had to replace the epigraph at the beginning of the book—find a new quotation that you think represents a theme or idea from Me Since You. Share your choice with the group, and explain why you think it represents the novel and its ideas. If you don’t have your own copy of Bartlett’s Quotations, here are some online resources that can help get you started. 2. 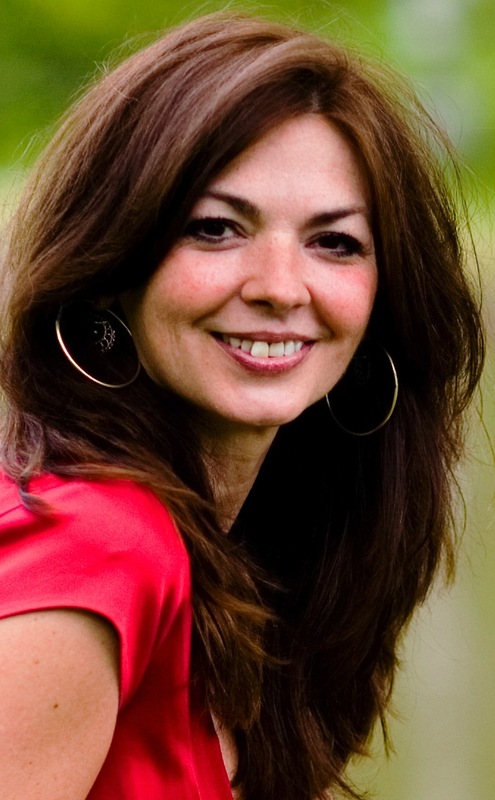 Laura Wiess has written several other novels: Ordinary Beauty, How It Ends, Such a Pretty Girl and Leftovers. Check out one of these other excellent stories, and share your thoughts on it with your group. How did it change the way you thought about Me Since You? What are some of the themes of the book you chose that match up with the themes of Me Since You? Did you see other similarities between the novels? 3. Join the conversation! www.laurawiess.com, http://www.facebook.com/pages/Laura-Wiess/163023280412622, and https://twitter.com/LauraWiess are great resources for more information on Laura Wiess’s novels and a way to meet other fans of Me Since You. Share your favorite parts of Me Since You on Facebook or Twitter, and check out all the great information on LauraWiess.com!